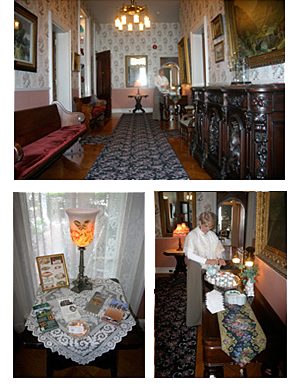 Visit the Gordon-Roberts House and enjoy a soothing cup of tea served by an elegantly docent as you embark on a memorable journey back in time. Strains of period music add to the ambience as you walk the halls of this lovely 1867 home. In the past guests would have presented a calling card to be received by the family member that they had come to visit.